Widespread showers and thunderstorms dropped moderate to heavy amounts on most of the Ohio Valley and the eastern Great Lakes region, providing relief from short-term D0 and D1 in southern Illinois, southwestern Indiana, northwestern and northeastern Ohio. 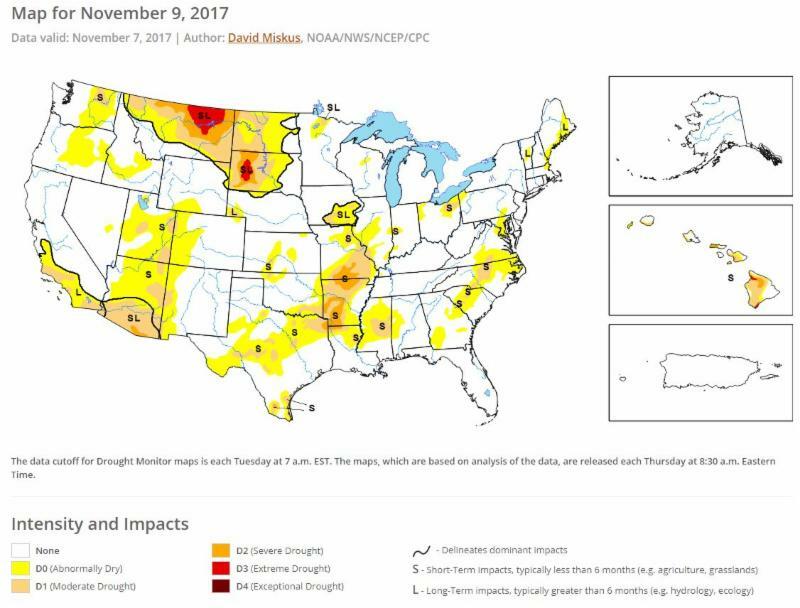 Cold weather and light precipitation across most of the High Plains region, including light slow blanketing parts of the Dakotas. 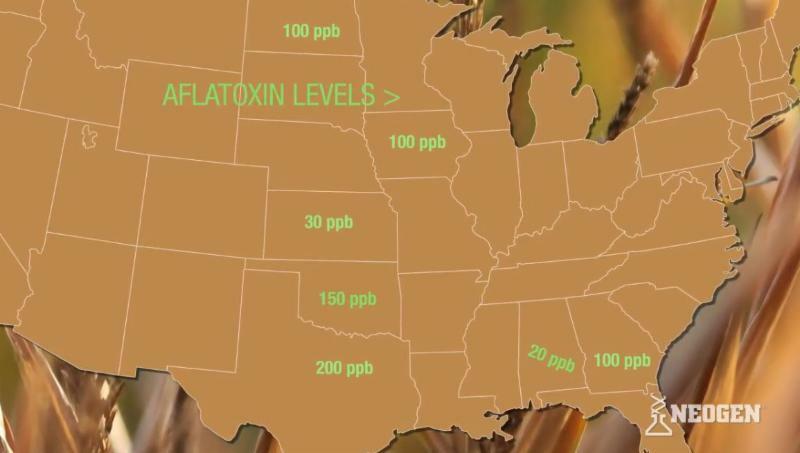 Reports of aflatoxin in corn silage remain at levels of greater than 100 ppm in both North Dakota and Iowa. 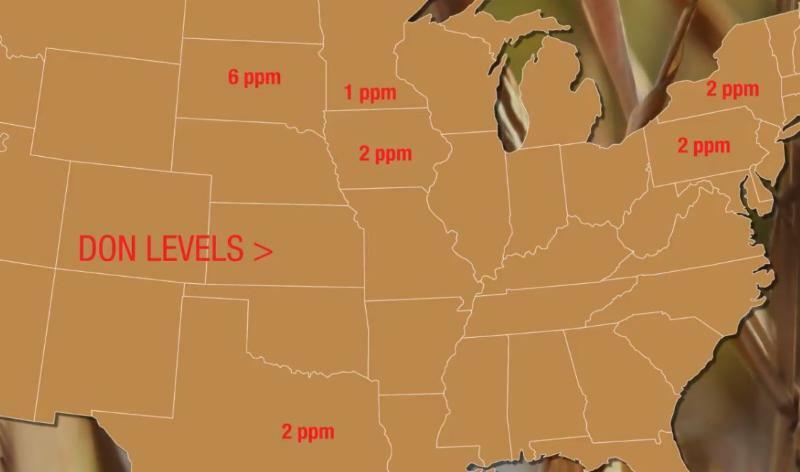 Don has been reported in corn and corn silage at 6 ppm in South Dakota and 1 ppm in Minnesota. A new safety webinar is available for registration. The topic is Lockout/Tagout: Isolating The Energy and runs for 60 minutes. Soybeans are now sitting at 90% harvested, which is just a point behind the five year average. With this nearing the end, farmers are turning their attention towards corn. Overall corn harvest is current 13 points behind at 70% harvested. There is also few delays in the winter wheat planting, with the crop progress showing the national mark at 91% planted. China committed to buy more U.S. soybeans during President Donald Trump's visit to Beijing, a U.S. industry official said. Chinese buyers will sign a letter of intent with the U.S. Soybean Export council. China is the world's biggest soybean importer and the U.S. is its second largest supplier. Agriculture trade has been a bright spot in U.S.-China relations under Trump's administration. Kansas State University researchers have verified a common belief that cleaning corn with common industry methods will reduce mycotoxins that may be present in the crop. "We have quantified that you can reduce mycotoxins by 30 percent by cleaning corn," said Cassandra Jones, an associate professor of animal science and industry at Kansas State University. However, they are cautioning that highly contaminated corn still may not be safe for animal feed or alternate uses even after cleaning. The K-State findings are particularly relevant in an industry where one particular mycotoxin - aflatoxin - causes more than $52 million in U.S. corn losses yearly. Minnesota farmers grew a record wheat crop this year. 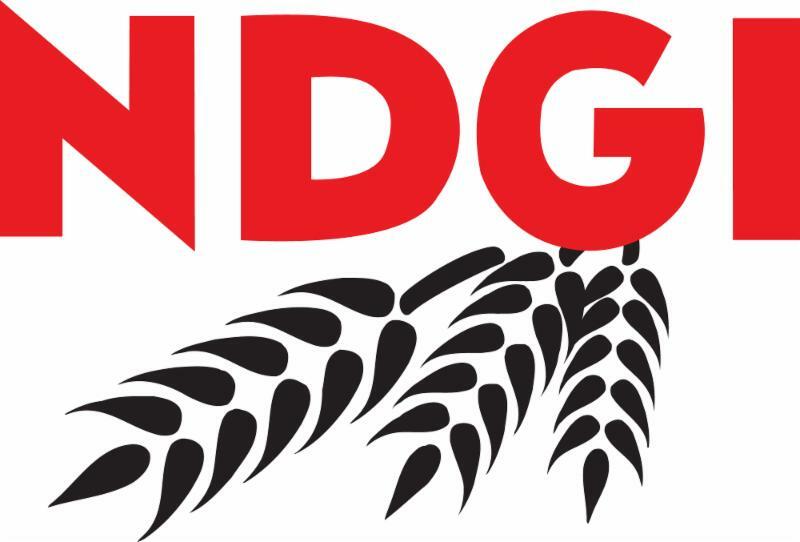 The USDA National Ag Statistics Service pegs the statewide yield average for spring wheat at 67 bushels per acre. Which is seven percent higher than the previous record set in 2015. "The signature really was from cooler nights and lower dew points happening between mid-June to mid-July. That three to four week period really allowed the crop to attain the 67 bushels per acre," said Jochum Wiersma, a University of Minnesota Extension small grains specialist.